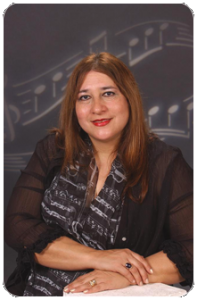 The Central Florida Music Teachers Association (CFMTA) is a non-profit organization dedicated to creating excellence in the teaching, learning, and performing of music. Our members teach private and group lessons in public schools, independent studios, colleges, and conservatories. CFMTA supports the professional development of music teachers by providing discussions, workshops, and peer support. CFMTA also offers students a variety of performances, competitions, and examinations to help them assess and improve their musical skills. We invite you to explore and experience all CFMTA has to offer as we work together to promote the art and knowledge of music in the Central Florida area. If you are interested in joining CFMTA, please complete the application on the FSMTA website. We welcome your membership! Welcome! I trust you had an enjoyable summer. This 2018-19 school year is filled with new creative opportunities to participate in your Local Association. Participation is vital, and the board has worked many hours to create the best pedagogical year. Our students’ success depends on us, and by participating we will expose our students to the best educational experiences to enrich their lives and ours. Please mark your calendars to an amazing year! Take a look at our Calendar of Events. Central Florida Music Teachers Association is affiliated with The Florida State Music Teachers Association and with Music Teachers National Association.